Musik made in Schweden, jetzt auch in Deutschland erhältlich. 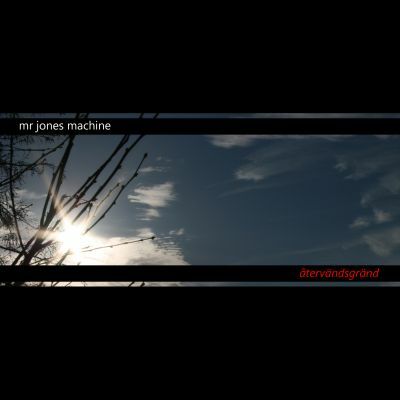 Swedens finest synthpop-act Mr Jones Machine is finally back with their follow-up to the 2005 success "New Wave". Behind this amazing trio we find brothers Jarmo and Jouni Ollila (famous from acts like Daily Planet, Pouppée Fabrikk, La Vouge etc.) with their good friend Magnus Lindström. Together this amazing trio present what could be one of the strongest electropop albums to ever be produced on Swedish soil. The production, the melodies and not least a strong personal vocal performance has brought them to the absolute top acts in Scandinavia. With the new album "Återvändsgränd" this act present 10 brans new tracks all in Swedish. This an album for everyone that really enjoys the meaning of quality electronic-pop. Because it really does not get better than this. 10 tracks to fall in love to. A perfect soundtrack to life. DAS Album des Jahres 2007. Synthpop wie aus den 80ern. Jeder ..